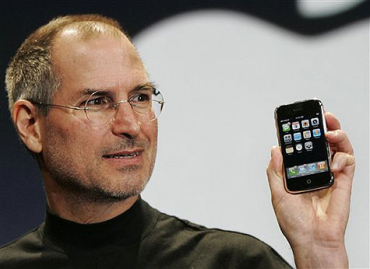 The Death of Steve Jobs…and how it might affect YOU. After I dropped my daughters off at school this morning, I tuned into FOX News on my radio. As I continued to listen to the presentation of this man’s life and legacy over the airwaves, I started to weep. Tears poured down my cheeks as I listened intently and made my way home. I’m a hug Apple fan. But even so, my mini obsession for gadgets could not possibly move me to tears over this loss. So I started to pray and talk to God about the overwhelming emotion I was feeling for this man I’ve never met and know nothing about. “What is this? Why am I overcome with sorrow because of this man’s death?” I prayed. I continued to weep and wonder. Though I know very little about Steve Jobs, it’s obvious that he’s passionate and outrageously creative. Oddly this all reminds me of how I felt when Steve Irwin died (The Crocodile Hunter). Hunter (my son) loved watching Steve get crazy excited over the crocodiles and creatures – we all did. Because Steve loved the crocs –we did too.